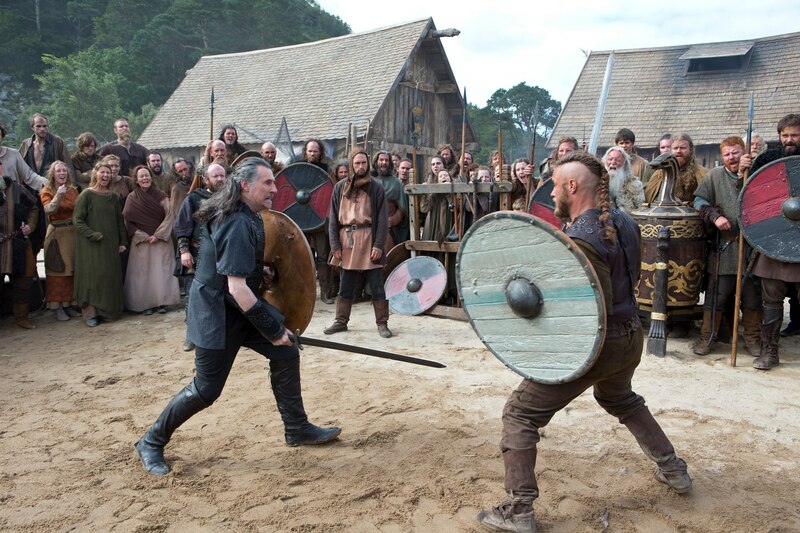 Following a success of series one of Vikings another 10 episodes of the series will be shortly going into production at Ashford studios, Wicklow. Last year hundreds of people turned up for auditions for the series in Wicklow and Temple Bar. This will be will followed by 2 days of casting at Filmbase, Curved Street in Temple Bar on Thursday 6th June, 11am – 6pm, and Friday 7th June, 9:30am – 5pm. The series was written by Michael Hirst of ‘The Tudors’ and ‘Camelot’ who is also an executive producer along with Morgan O’Sullivan, and Canadian John Weber of Take 5 Productions. ‘Vikings’ depicts the adventures of the leader of the Vikings, Ragnar Lothbrok and his fellow Norsemen who travelled by long boat raiding, plundering and traded in Ireland during medieval times, many of whom eventually settling here. The series was huge success when broadcast in the states earlier in the year, no dates have yet been set for transmission on Irish screens Morgan O’Sullivan’s company World 2000 retains the rights to the Irish market.